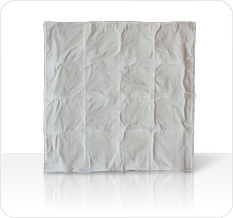 The cotton pillow with its pure, natural crystals has many application options. Sitting long in the office or travelling, the rock crystals support together with the charge of Shen-Ion HarmoNIK® frequencies the energy flow in the body as well as the physical and mental relaxation. If requested, there can be added further crystals and semiprecious stones, geared to personal needs – individual pillows for individual people.